Monarch Air Group provides private air charter in Lafayette, LA. Our clients benefit from top-notch service, unrelenting dedication to safety, wide selection of aircraft, and years of experience in chartering private jets. To obtain a free quote, please use our online quoting tool provided below, or call toll free 1-877-281-3051. Monarch Air Group provides private jet charter flights in and out of Lafayette, Louisiana, USA. Lafayette is the fourth-largest incorporated city in southern Louisiana. The population is about 120,623 people. The city’s economy is mainly based on medical care and tourism. There are numerous famous points of interest including Acadiana Center for the Arts, Alexandre Mouton House Museum, Downtown Lafayette, Lafayette Natural History Museum & Planetarium, Girard Park, Zoo of Acadiana, Vermilionville, and many others. The city is served by Lafayette Regional Airport (LFT / KLFT), which is located just 3 miles from the center of Lafayette. 1. ARA, Acadiana Regional, New Iberia, United States. 2. BTR, Ryan, Baton Rouge, United States. 3. 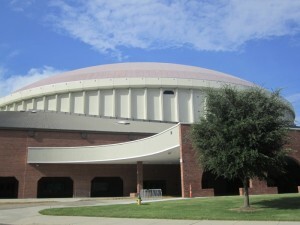 LFT, Lafayette Regional, New Iberia, United States. 4. OPL, St Landry Parish, Opelousas, United States. 5. PTN, Williams Memorial, Patterson, United States. 6. UCE, Eunice, Eunice, United States. 1. Courtyard by Marriott Lafayette Airport Hotel, 214 E. Kaliste Saloom Road, Lafayette. 2. Courtyard by Marriott Lafayette Airport Hotel, 214 E. Kaliste Saloom Road, Lafayette. 3. Holiday Inn Lafayette-US 67, 2032 NE Evangeline Thruway, Lafayette. 4. Courtyard by Marriott Lafayette Airport Hotel, 214 E. Kaliste Saloom Road, Lafayette. 5. Microtel Inn Hotel Scott LA, 301 Ambassador Caffery Parkway, Scott. 6. Holiday Inn Lafayette-US 67, 2032 NE Evangeline Thruway, Lafayette.